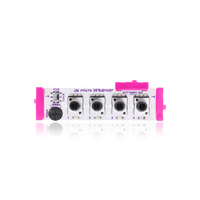 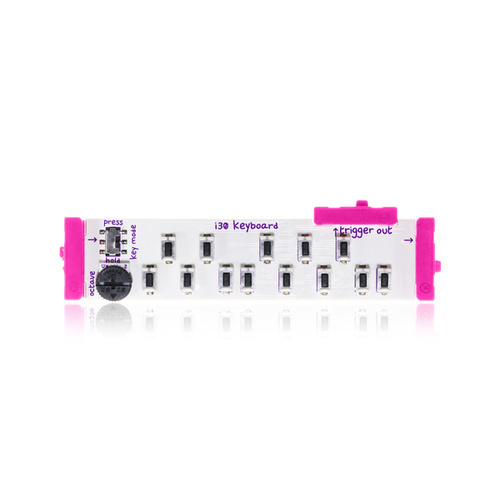 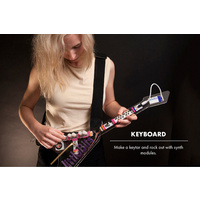 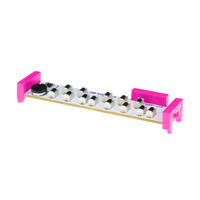 The keyboard lets you play melodies- it features 13 switches that make up an entire octave of notes. 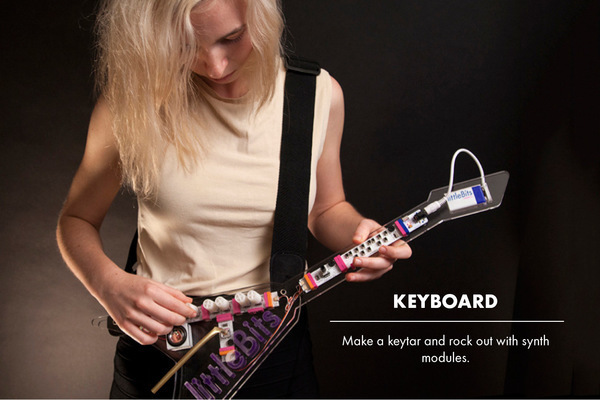 It has two modes: "press" (which only produces output when you press a switch) and "hold" (which will hold the last note you played). 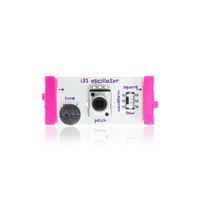 It also features an octave control which changes the playable range. 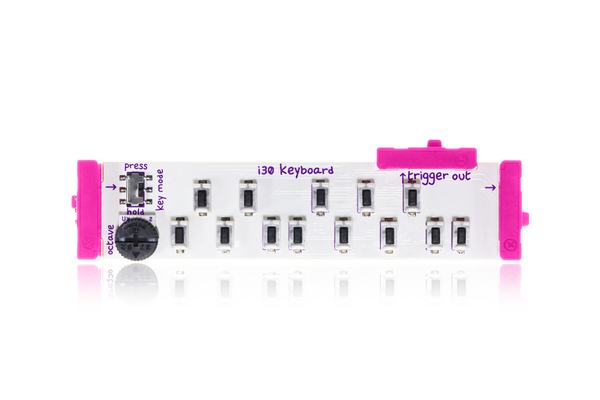 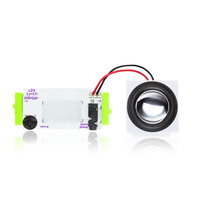 In addition to its main output, which is great for controlling our oscillators, it also has a "trigger out", which you can send to the "trigger in" of envelope or other littleBits modules.